Just finished the construction of your building or the renovation work at your home or office building? And the surrounding area is all messed up with dirt, paint and more? Then you need to hire after builders cleaning services as soon as possible. 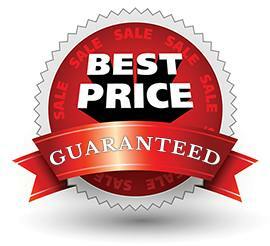 We at Glory Clean offer high quality after builders cleaning in Acton W3 and nearby areas. Our highly experienced team of cleaners will remove all the construction waste, dust, paint and filings efficiently. They can also clean the glass mirrors and leave behind a completely neat, tidy and ready to use space for you. With our years of experience we take pride in providing the highest standards of Acton after builders cleaning services with our wealth of knowledge regarding commercial as well as residential cleaning services. Our expert cleaners keep eye on every minute detail and therefore offer top quality and convenient after builders cleaning in Acton and leave behind a space in pristine condition for you. Due to our sheer dedication towards our work we the Glory Clean team is considered as one of the most preferred cleaners for after builders cleaning in Acton W3. Being a renowned cleaning service provider in Acton we regularly perform after building cleaning work for agents, landlords, homeowners and commercial establishment owners. With our professional team of cleaners we are capable of removing the entire mess left after the construction or renovation work is done. We make sure to provide you with a house or office that is clean, tidy and in top condition. What makes us bets from the rest is that we provide cleaning services in a timely and convenient manner. Why choose us for After Builders Cleaning in Acton W3? What All We Include In Our Acton W3 After Builders Cleaning Services? Cleaning the hard floors like granite, tile, marble, laminate, linoleum, etc. If you want to know more about our after builders cleaning in Acton W3 services then do not hesitate to give us a call at 0207 118 0866 or write to us at office@gloryclean.co.uk?